In 1874, Scotsman James Glenny Wilson brought his Australian bride to the Rangitikei where he was developing his sheep station, Ngaio. They settled in Bulls in a cottage they called Lethenty and later extended, and when it burned down in 1914 they built a large home on the same site. Annie, Lady Wilson, was a gifted writer, a keen gardener, an accomplished needlewoman and a lady of society. Her daughters Jean and Nancy Wilson kept up the family traditions of music, hospitality and community service. Nancy was awarded the MBE for her services to scouting. Annie’s granddaughter Hilary Haylock, who made her own considerable contribution to the property and the community, received an MBE for services to girl guides and the community. Lethenty is now a century old and still occupied by Sir James and Lady Wilson’s descendants who have unobtrusively brought their neo-Georgian home into the 21st century while cherishing the furnishings and fittings of previous generations. This is a house where books and Parliamentary speeches were written, governors general were entertained and family triumphs and disasters were shared. There are no longer polo ponies and parlour maids at Lethenty but within its walls the memories linger. 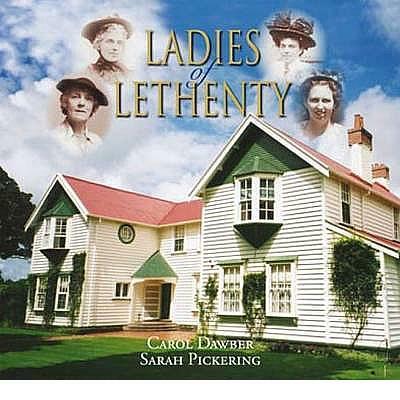 Sarah Pickering, great great granddaughter of the first owners of Lethenty, has written extensively about the family home and its contents, while Carol Dawber has documented the lives of the four women who were the ladies of the house.